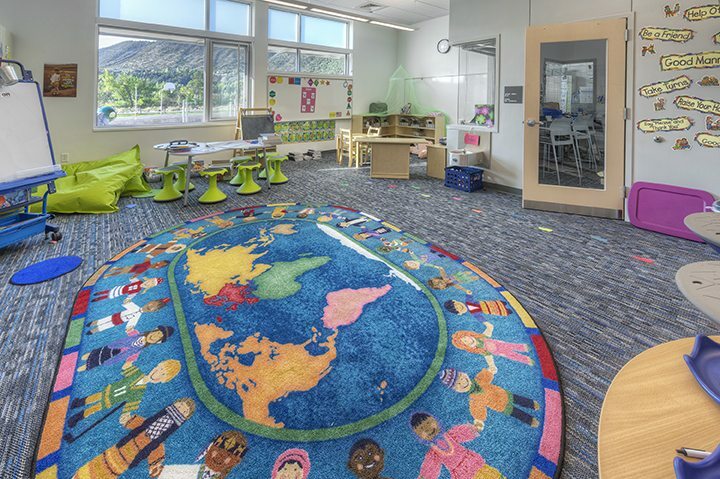 Riverview PK-8 offers a unique dual-language learning model. 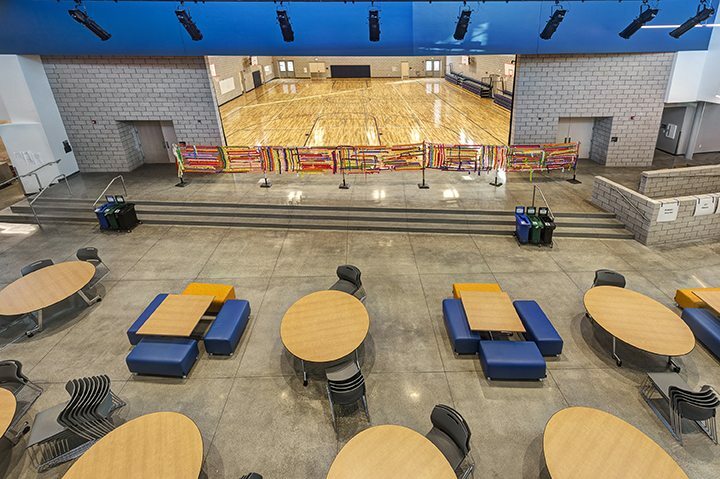 The Riverview PK-8 School eases the overcrowding of the Glenwood schools that have been at or above capacity for the past several years. 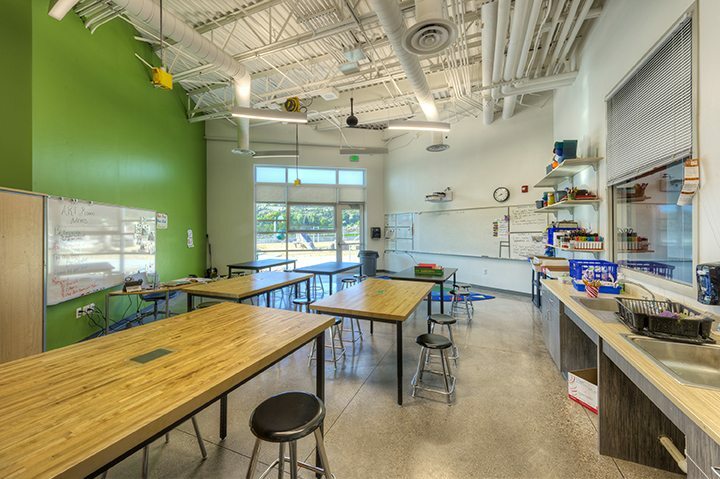 The new school includes classroom spaces, as well as an Innovation Lab, art room, music room, full kitchen, large gym, and locker rooms. 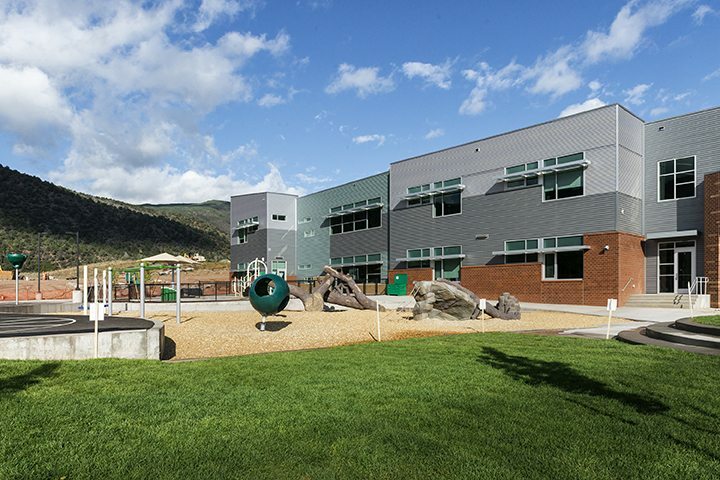 The school’s outdoor play areas and learning spaces take advantage of the natural surroundings, and the soccer field is a great place for the kids to run off some energy. 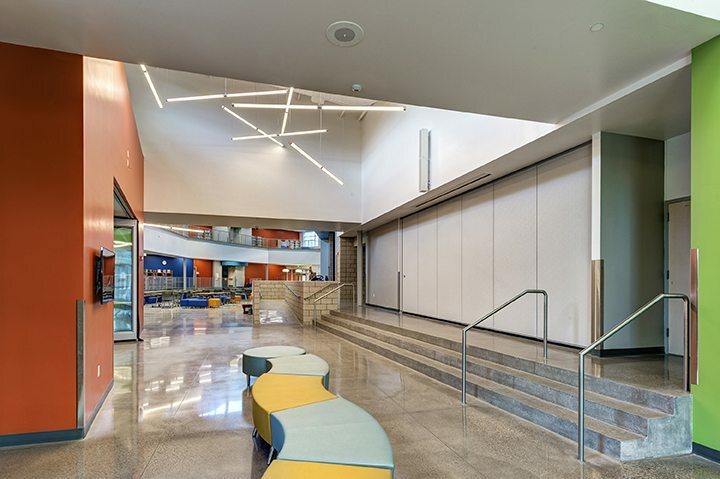 Extensive exterior and interior glazing provides a connection to adjacent spaces. 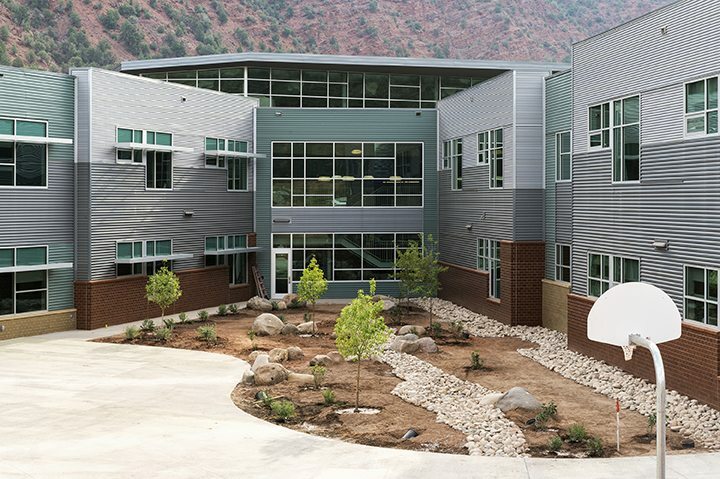 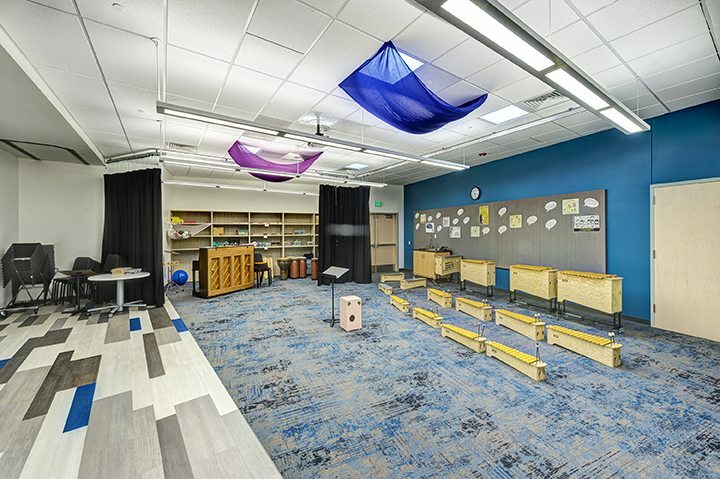 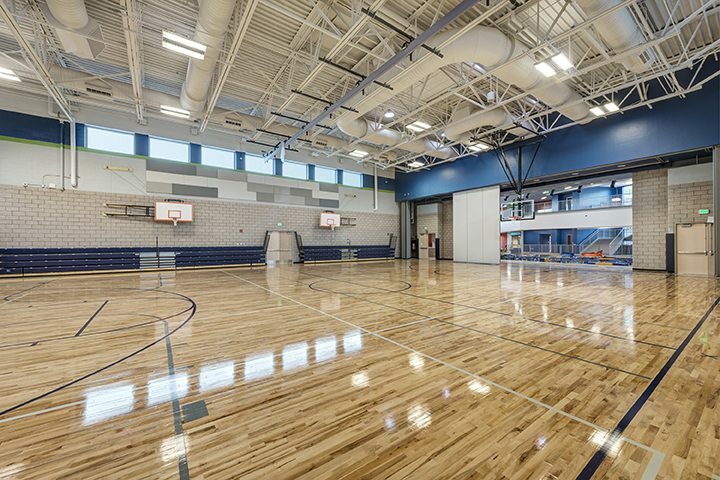 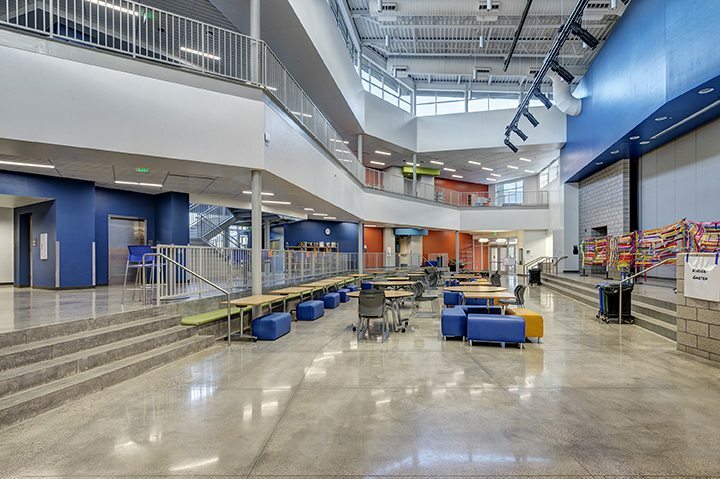 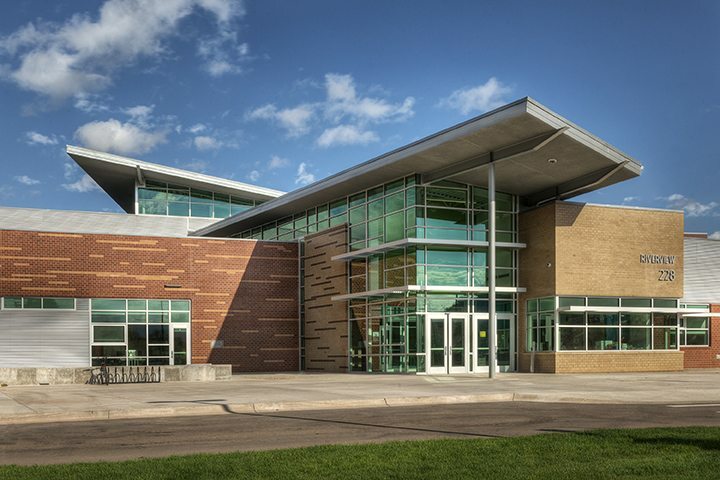 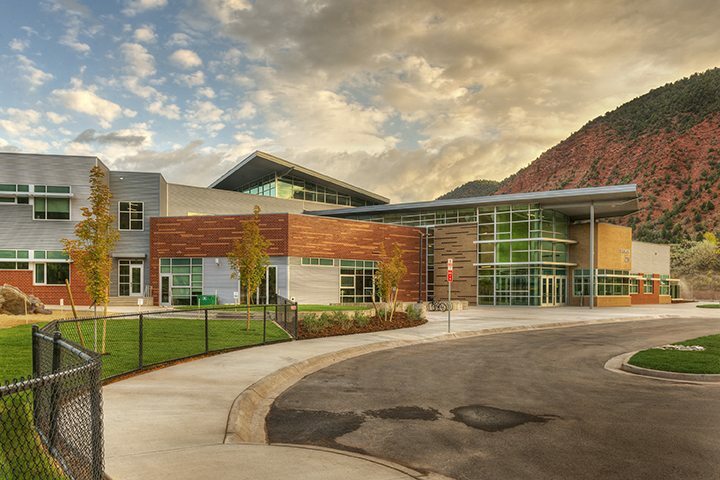 This 2-story facility was funded from a bond initiative passed in November of 2015 by the local voters in conjunction with a BEST Grant from the Colorado Department of Education.